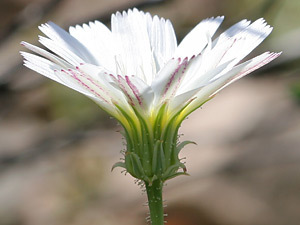 Description: The flower heads are up to 1.5 inches (3.8 cm) in diameter and have square-tipped, toothed rays. The leaves are hairless, blue-green, and pinnately divided into long, linear lobes. 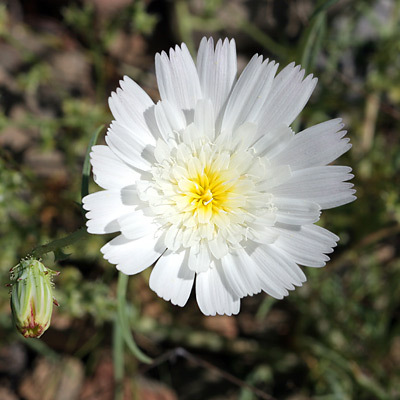 There are tiny, tack-shaped glands on the stems and flower bases. The similar New Mexico Plumeseed (Rafinesquia neomexicana) and California Plumeseed (Rafinesquia californica) lack these tiny, tack-shaped glands.